Carmo was established by Carl Mogensen (hence the name Car-mo) during the second world war. Carmo initially produced and sold buttons and other items manufactured in bone. In 1946, the company was bought by Marckman Hansen, who introduced one of the first injection moulding machines in Denmark and a new era in plastics. With on offset in buttons and buttonholes for raincoats, a wide productportfolio and deep know-how around injection moulding and high frequency welding was established. 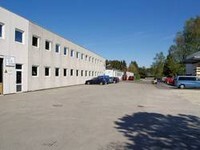 In 1997, the company was acquired by the current owner, Steen Ishøy. With a background from the medico market, the company was further modernized automated and focused further on supplying medico customers. Today the company has a range of modern machines and has invested heavily in automation and robotics to maintain unsupassed quality at competitive prices.